That's a nice little preorder bonus there, too. Looks great. Should be a blast. I'll probably get it eventually down the road. Is it me or are the percentage of front page posts skewing MK11? Warner Bros. Interactive Entertainment and NetherRealm Studios today released a new Mortal Kombat 11 television spot revealing Kitana as the latest playable character. The TV spot is driven by the universal concept that each of us has a fighter within that pushes us to fight for what we believe in. To bring the concept to life, WBIE tapped Create Advertising Group, Director Joe Sill and Plastic Wax to craft a world where everyday people possess the strength and powers of the iconic Mortal Kombat 11 characters. To further push this concept, Plastic Wax added visual effects, including Sub-Zero’s ice manipulation, Raiden’s lightning and Kitana’s steel fan weapons. As one person passes through the shadows, a different person emerges, heading towards their final fight. 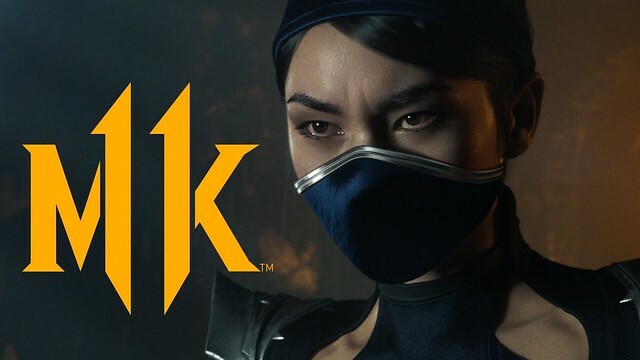 The TV spot also confirms that Kitana will be joining the Mortal Kombat 11 roster. The 10,000-year-old princess of Edenia grew up believing she was Shao Kahn’s biological daughter and served as one of his deadliest warriors. When Kitana learned the truth, she fought against Shao Kahn’s attempted conquest of Earthrealm, eventually dying in battle. After being resurrected as an evil revenant version of her former self, Kitana now rules the Netherrealm alongside revenant Liu Kang, dedicated to the destruction of all the realms. Tune in to NetherRealm’s popular Kombat Kast livestream this week for an in-depth gameplay walkthrough featuring Kitana. Mortal Kombat 11 is the latest installment in the critically-acclaimed franchise, developed by award-winning NetherRealm Studios, and will be available beginning 23rd April for PlayStation 4, PlayStation 4 Pro, Xbox One, Xbox One X, Nintendo Switch and PC. Pre-order now to receive the in-game playable character, Shao Kahn. Hell yeah, if she looks that good in the game that'll be awesome. We've been debating about whether or not she'd be in it, glad she is. The last rumor I heard about Mileena is that she would be unlockable either in the Krypt or after beating the campaign. G D it about two weeks exactly from now I'll be playing the game. I hate the final buildup to a hugely anticipated game. I want the remote from the movie Click! Mad props for the iconography on the MK and 11. Kitana looks stunning, I don't think we have had a photo-realistic looking asian character like that? I am honestly hoping to see Injustice 3, now. When you think about all the drama in the video game industry, Netherrealm Studios is humming along in the background pushing out hit after hit. Not many companies can claim that, and I'm hoping more follow that example.